The use of dental laser surgery treatment is one of the newest and most exciting developments in dental practice to come along in many years. I use two types of laser dentistry in my Manhattan practice – Diagnodent Laser and Soft Tissue Laser Dentistry. The Diagnodent laser is used to detect tooth decay that cannot be seen on X-rays and is often missed in routine examinations. It enables me to measure the depth of a cavity and to determine if it absolutely needs to be treated by placing a restoration or possibly be re-mineralized with concentrated fluoride thus avoiding a filling. 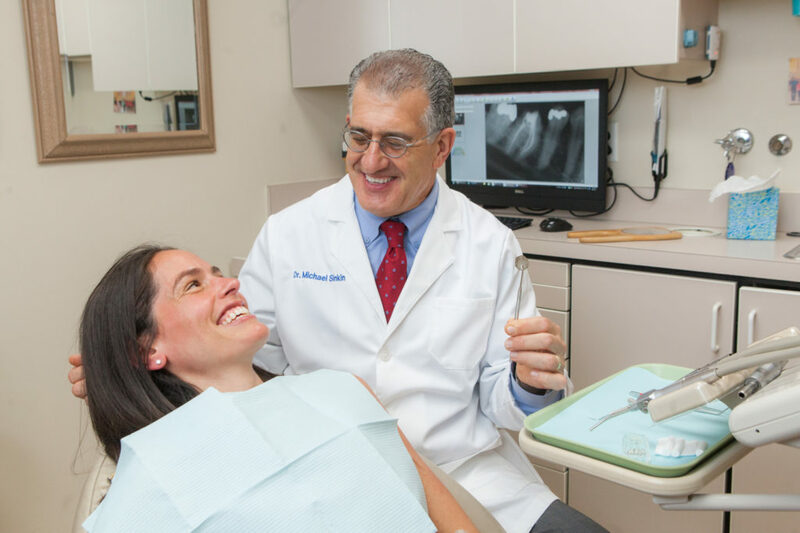 Since Diagnodent dental laswer surgery treatment is very accurate and specifically calibrated for each patient, I am able to monitor suspicious areas on teeth with confidence that I am not going to miss further decay. Crown Lengthening: Reshaping gum tissue to expose healthy tooth structure. This provides a strong foundation for the placement of restorations. A Nicer Smile: For many people, smiling exposes too much of their gums. I use laser dentistry to reshape gum tissue and improve the appearance of a “gummy smile”. Muscle Attachment (Frenula): A procedure called laser frenectomy can help to eliminate speech impediments. Soft Tissue Folds (Epulis): Poorly fitting dentures can cause soft tissue folds. By using dental lasers, I provide painless and stitches-free removal of these soft tissue irregularities. Eliminating Bacteria: I now can painlessly sterilize periodontal pockets to eliminate the bacteria that causes gum disease and help avoid more advanced treatment such as gum surgery. Dental laser surgery can often lessen the need for stitches. Laser dentistry procedures often do not require anesthesia. Bacterial infections are minimized by using dental laser techniques. To remove Benign Tumors: Painless removal of benign tumors on the gums, palate, sides of cheeks and lips. To treat of Cold Sores: Dental lasers can reduce the pain associated with cold sores and minimize healing time. To desensitize overly sensitive teeth. I am very excited about offering my patients dental laser surgery treatment in my Manhattan dental practice. Call 212-685-3040 today to find out more!